Category: Hoods & Sleeve Covers. Tags: 1919W-19, 1919W-21, S1919W-19, S1919W-21. 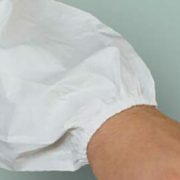 These sleeve covers provide an excellent barrier against wet and dry hazardous and non-hazardous contaminants including lead, asbestos, paint, mold, dust & fibers. The laminate coating and matrix fiber construction create a breathable yet impermeable barrier to particles and are especially effective where dirt, grime, splashes and spills exist. 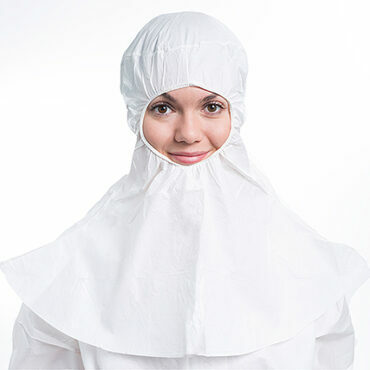 Wearing them will can reduce worker to worksite contamination transmission. Tunneled sewing with elastic at top and wrist provides maximum protection and comfort. Sealed in outer polyethylene bags as well as a separate inner-case, poly-bag liner.